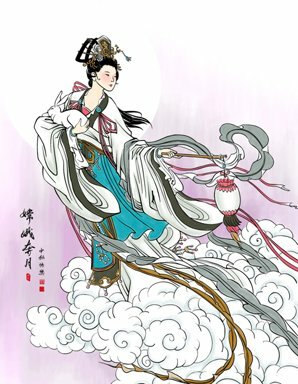 The Mid-Autumn Festival is the second most important traditional festival in China (the most important one is Chinese New Year). There are many traditional and new celebrations. Read on to see how Chinese people celebrate the Mid-Autumn Festival. A mooncake is a traditional Chinese pastry. It is made from wheat flour and sweet stuffing, such as sugar and lotus seed powder. It&apos;s a symbol of family reunion, and the cake is traditionally cut into pieces that equal the number of people in the family.. Eating mooncakes is the most common and representative tradition of the day. 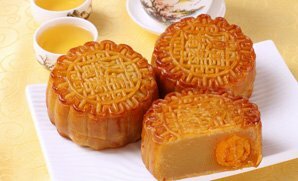 In ordinary times, people won&apos;t buy or eat mooncakes but during the Mid-Autumn Festival everyone will have a mooncake to celebrate. See the Top 10 Mooncake Flavors. In Chinese beliefs, the full moon is the symbol for a family reunion. Many famous ancient poets wrote poems about the moon and expressed their homesickness. 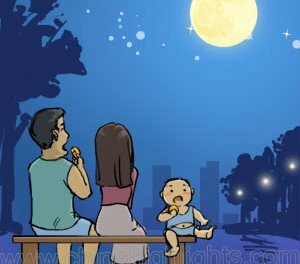 When people look at the moon, it reminds them of their families and homeland..
Nowadays, people still like appreciating the moon during the Mid-Autumn Festival in China. Chinese family members have dinner together in the evening of the Mid-Autumn Festival. After dinner, they may talk about their work, the children, and their future plans. 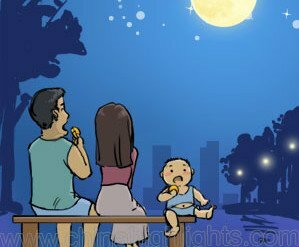 Chinese people like to find the best place that offers a great view of the moon, such as the roof, a balcony, a mountaintop, or a lakeside. After dinner, every family will put a table outside the door, or in the courtyard. 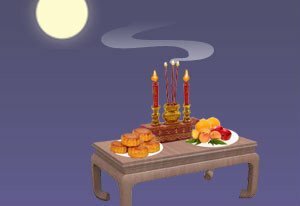 They put mooncakes, fruit, incense, and candlesticks on the table, facing towards the moon. Nowadays, this tradition is disappearing. It&apos;s rare to see families worshiping the moon in big cities. In some old towns or tourist cities, people will hold a ceremony to worship the moon in a square, park, or street, but this is more like a performance. Fruit for worshiping the moon includes a watermelon, grapefruit, pomegranate, pear, persimmon, grapes, or other seasonal fruit. See the 6 Sadly Disappearing Mid-Autumn Festival Customs. Making colorful lanterns is a happy activity between families and children. 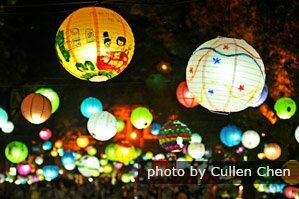 The lanterns have different shapes and can also resemble animals, plants, or flowers. Children love making colorful lanterns. They make them in different shapes to be hung in trees or houses, or floated on rivers. Parks will also hang up colorful lanterns, which provide a beautiful view at night. They also make Kongming lanterns, which can fly because the burning candles heat the air in the lantern. Children write good wishes on the lanterns and let them fly up into the sky. See another traditional Chinese festival — Chinese Lantern Festival. 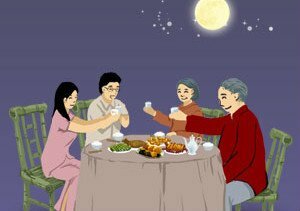 As the Mid-Autumn Festival represents the reunion of families, families will have dinner together on that night. People who don&apos;t have time to stay with their parents will try their best to go home to at least have dinner together. Therefore, there can be traffic jams during this festival. In the past, mothers would cook delicious food at home and families would spend some happy time together. Nowadays, most families tend to have dinner at a restaurant rather than cook at home. Therefore, famous restaurants can be fully booked on the Mid-Autumn Festival night. It&apos;s very popular to give gifts to friends and relatives during the Mid-Autumn Festival. 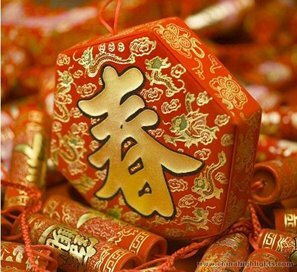 During the festival, people will pay short visits to friends or relatives, taking gifts with them. They usually leave before dinnertime. This is a good time to get closer to friends and relatives. Companies also like to give a gift to every staff member. The most popular and common gifts are mooncakes and fruit. See the 5 Most Popular Mid-Autumn Festival Gifts for some ideas. People who are used to using phones will send celebration messages to friends, relatives, or people who are far away. It&apos;s also a good way to break the ice if you don&apos;t know how to start a conversation by phone. In the past, people sent SMS. Nowadays, young people like to send messages via instant messaging apps, such as WeChat or QQ. 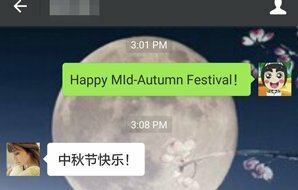 The most popular message is: Happy Mid-Autumn Festival! See 20 Popular Chinese Mid-Autumn Festival Greetings for message ideas. The Mid-Autumn Festival is not only a traditional Chinese festival but is also a public holiday for Chinese people. 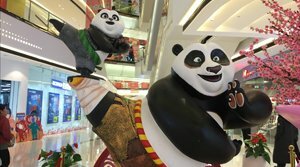 Usually, the Chinese will have three days off including a weekend. 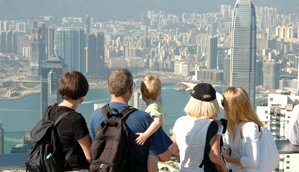 Therefore, people can go on short trips with family or friends. Usually, a couple of weeks or a month before the festival, people will plan their tour to cities around their home or office. And during the 3-day holiday, train tickets are likely to be sold out in advance quickly. Travel tip: If your tour schedule in China is close to the Mid-Autumn Festival (October 4 in 2017; see the Mid-Autumn Festival date for the coming years), and you want to travel by train, you are recommended to book tickets as early as possible. Also see China&apos;s Public Holiday Schedule for dates to avoid. During almost every big holiday, there will be discounted promotions in supermarkets, shopping malls, and online shops. During the Mid-Autumn Festival, supermarkets will have lottery draws for mooncakes using the consumers&apos; receipts. And because the weather is cooling down, there will also be big summer sales in the shopping malls. Young people are more likely to go shopping for clothes and to enjoy the big discounts, with online shopping being the most popular type. Watching a movie is not a tradition for any festival as you can do this at any time. But when people don&apos;t have other plans and want to find a way to celebrate the festival, watching a movie is a good idea. Usually, families or couples will watch movies after dinner. After shopping for a whole day, young people may also prefer to watch a movie to rest their legs.